Start your show off with a bang with the help of one of the 40 eye-popping built-in free DVD menu templates. You can also add your personal touch by customizing the DVD menu frames, buttons, texts, thumbnails and more with the one you like. Moreover, you can personalize the DVD menu background picture and music with your favorite photo and song. In this way, you've got a unique and opening screen that you can be proud of and make a unique yet professional-looking DVD movie. 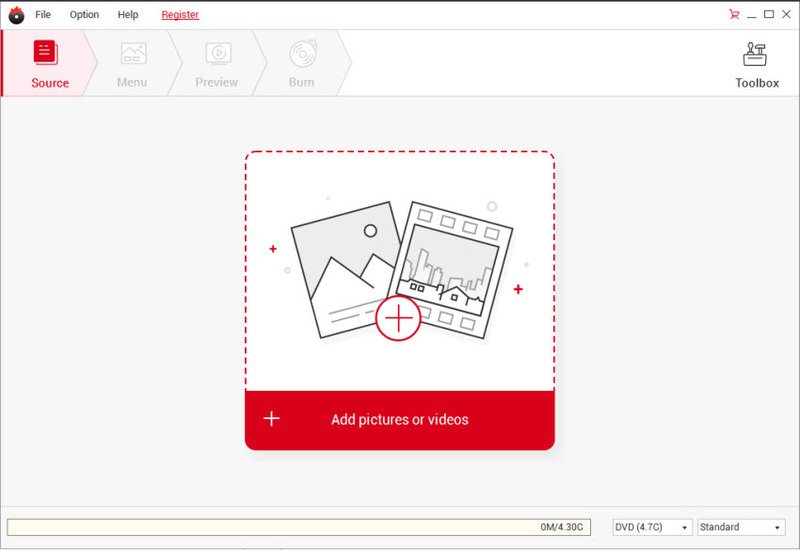 DVD Creator now lets you import and edit photos, so you can load your favorite pictures and weave them into an exciting photo DVD slideshow that will preserve your memories forever. You can also combine photos and video together to take your DVDs to the next level. In addition, with the built-in photo editor, you can rotate photos, add text, set photo transition effects and insert background music to add even more life to your photo DVD movie. 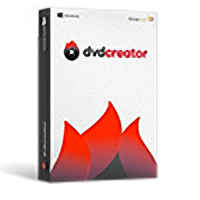 Even beginners can get big results with DVD Creator's built-in video editing tools. Change video brightness, contrast, saturation and audio volume or add special video effects to make the video really pop are all at your hand. 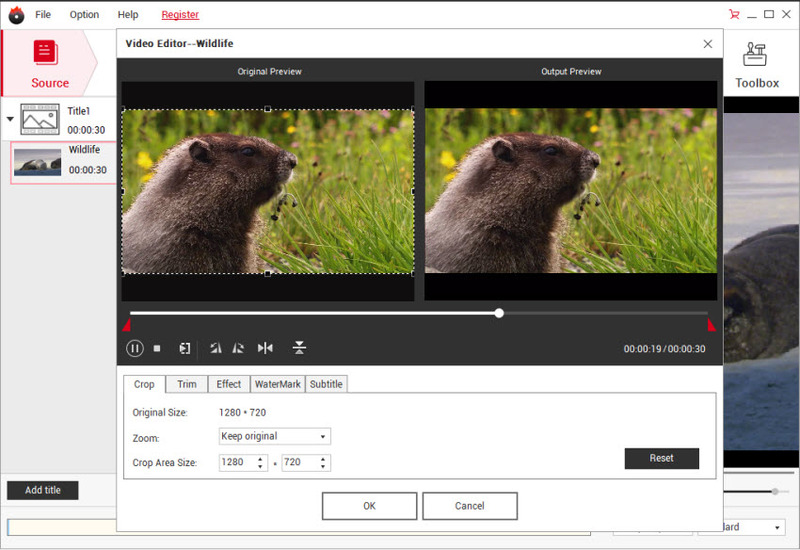 You can also trim and crop any frame of your video to get the part you want, rotate videos for a perfect fit, add an image or text watermark to make your movie really your own. With the help of these video editing features, you can definitely tell your story in a more attractive way! Real-time preview ensures that you can get the effect you want. Burn DVDs with simple clicks and fast speed.